There has been a tremendous amount of media, public and regulatory attention over America’s opioid crisis. In many areas of the country, the leading cause of death is now drug overdoses. And most of those lethal overdoses involve opioids. Given the attention now given to our so-called opioid epidemic, this post examines the need for face to face doctor visits before these drugs can be dispensed. The term opioids covers a wide range of narcotics typically used for pain management. In fact, a whole new area of medicine – pain management – has developed in recent years. Prescription opioids include oxycodone, hydrocodone, morphine, methadone, hydromorphone, meperidine and fentanyl. Common brand names of these drugs include Vicodin, Demerol, Oxycontin, Dilaudid, Percoset, Subsys and Duragesic. The Drug Enforcement Administration (DEA) calls the above opioids “scheduled drugs.” The abuse rate determines where they fall on the schedule. Leaving aside marijuana, drugs that are considered Schedule I drugs have a high potential for abuse and the potential to create severe psychological and/or physical dependence. As the drug schedule decreases-- Schedule II, Schedule III, etc., so does the abuse potential-- Schedule V drugs represents the least potential for abuse. A complete and up to date list of scheduled drugs can be found here. The states largely regulate how these drugs can be dispensed. The states can limit who dispenses these medications (doctors vs. nurse practitioners and physician assistants), how much can be dispensed (30 day versus 90 day supply) and how they are dispensed. This post concerns how they are dispensed. In many states, narcotics must be dispensed at a face to face doctor visit. That means paper prescriptions, no telephonic prescriptions or refills and no telemedicine visits. There are many variations from state to state but the more addictive narcotics – typically the opioids like oxycodone, hydrocodone and the like - require a face to face doctor visit. In addition to their legal responsibilities, physicians also have an obligation to follow good and prudent medical judgement for their particular patient. While the law in a particular state may allow a doctor to dispense a three month supply of painkillers, many doctors want to see their patients more often to detect possible dependency issues common with these drugs. A few of the pain management clinics and their doctors are what can only be described as “pill mills.” This term refers to a doctor or clinic that prescribes dispenses narcotics without a legitimate medical purpose. These pill mills are responsible for flooding our communities with illegal narcotics. On January 30, 2019, a Clearwater, Florida doctor was sentenced to prison for running an illegal pill mill. Dr. Jayam Iyer was sentenced to six months for her role in a Medicare fraud scheme involving fentanyl, oxycodone and morphine. She was also prohibited from practicing medicine for the next 20 years. Given her age (66), she will most likely never practice medicine again. Even if another state were to license her, the DEA has removed her ability to dispense drugs. According to court records, Dr. Iyer began practicing medicine in 1982. Florida has strict rules regarding the dispensing of opioids. The Florida Board of Medicine requires a doctor to perform a complete history and examination during every visit in which controlled substances are prescribed. The patient must physically be present before a doctor can write a scrip for opioids. The Justice Department says that beginning in 2011, Dr. Iyer began dispensing narcotics to patients who did not come into the office and to whom she had not visited face to face. To hide the scheme, Iyer falsified records to make it appear that her patients were seen in the office. Often the prescriptions were given to family members or friends of the patient instead of the patients themselves. Some of these prescriptions were for very potent and frequently abused narcotics. Although the current charges describe conduct that occurred between 2011 and 2017, prosecutors say that Dr. Iyer was first charged in 2000 for intent to distribute oxycodone. They say she was caught writing opioid prescriptions without any medical need or purpose and outside the scope of her medical practice. That charge was dropped after she successfully complete a first offender diversion program. In 2006, the DEA suspended her ability to write prescriptions for opioids. Ultimately, she was able to resume her full practice. She was charged again in 2011 but this time she was acquitted. In 2018, she landed in hot water again. This time the charges would stick and Dr. Iyer would be sent to jail. Prosecutors say that she was prescribing highly addictive morphine, oxycodone, oxycontin, Roxicodone, Percocets, methadone, valium and fentanyl, sometimes without even seeing the patient. It is impossible for a doctor to properly evaluate a patient who isn’t required to come into the office. A physician can’t monitor for dependency, medication abuse or drug complications without physically seeing his or her patient. The Justice Department asked for the maximum prison sentence under the federal sentencing guidelines. Dr. Iyer asked for a sentence of little or no jail. Ultimately the court gave her a 6 month sentence but also forbid her from getting another chance at practicing medicine. At least until she is almost 90 years old. The criminal sentencing doesn’t resolve the civil monetary penalties that are still pending. Under the federal and Florida False Claims Act, Jayam Iyer is subject to triple damages and penalties as high as $20,000 for each improper prescription submitted to Medicare and Medicaid. A former Michigan physician was prosecuted for distributing tens of thousands of opioids to patients who didn’t need them. Prosecutors said Dr. Hussein Awada was dispensing medications to people who didn’t show for examination and even dispensing medications to patients who were dead! Like Dr. Iyer, he was prosecuted both criminally and civilly under the False Claims Act. For his crimes, he was sentenced to 7 years in federal prison. Awada’s case is noteworthy because it began as a whistleblower case when his former receptionist alerted authorities. The state and federal False Claims Act laws allow whistleblowers who report illegal pill mills and doctors violating the face to face doctor visit rules to receive a reward of between 15% and 30% of whatever monies the government collects from the wrongdoers. Whistleblowers are the new American heroes. Not only do they prevent fraud, they also can save human lives. Many think Medicare and Medicaid fraud are victimless crimes. They are wrong. Medicare and Medicaid are funded with tax dollars. A physician or pill mill that defrauds Medicaid is defrauding all taxpayers. 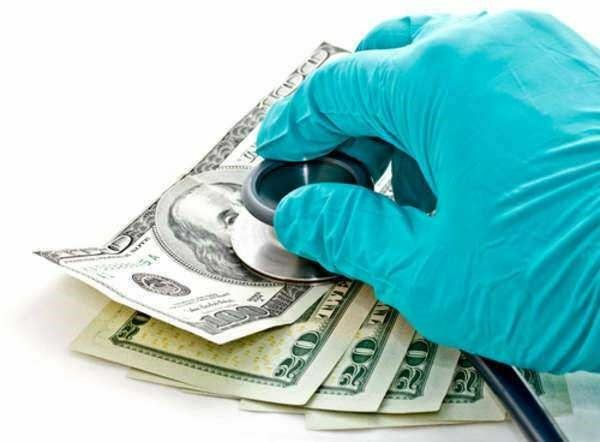 Roughly ten cents of every dollar we spend on healthcare is lost to fraud. And we wonder why medical costs keep increasing! More importantly, pill mills are killing Americans, ripping apart families and contributing to property crimes. Many opioid addicts got addicted to prescription pain killers and later switched to heroin or non prescription, lab made fentanyl. By early 2018, the opioid epidemic had become so critical that then Attorney General Jeff Sessions announced the creation of the Prescription Interdiction and Litigation (PIL) Task Force. The Task Force is targeting those who overprescribe and allow the misuse of prescription opioids. Another federal initiative is the Opioid Fraud and Abuse Detection Unit. At a press conference, Sessions said prosecutors will use the False Claims Act to crack down on pain-management clinics, drug testing facilities, and physicians that over-prescribe of opioid painkillers. That is the law that allows whistleblowers to be rewarded for their help in reporting these illegal activities. According to the government, more than 2.5 million Americans are currently addicted to opioids. Somewhere between 64,000 and 78,000 died in 2016 because of drug overdoses. Medicare alone paid $4,000,000,000.00 for opioid prescriptions that year. Whistleblowers with inside information about fraud involving taxpayer funded healthcare (Medicare, Medicaid or Tricare) are eligible for cash rewards for stepping forward and reporting misconduct. Qualifying for an award means you must file a sealed complaint in court. We can help. While the matter is under investigation it is sealed meaning the physician, clinic or hospital doesn’t know the whistleblower’s identity. Ultimately, the government must intervene and take over the case, ask the court for the case to be dismissed or let the whistleblower’s own lawyer prosecute privately. Pill mills are located all over the United States. If you know of a clinic or doctor prescribing narcotics without requiring the patient to come in for a face to face visit, a pill mill that uses “patient recruiters” to find patients, or a facility billing for medically unnecessary testing, you may be entitled to a whistleblower award. You can report fraud online today or call our hotline at 888.742.7248. If you see something, say something! Our communities need your help.